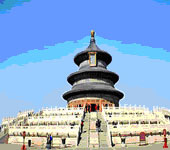 Beijing city tour, Tian'anmen Square, Forbidden City, Temple of Heaven Tour! 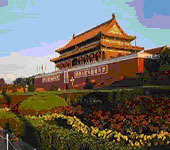 Activities: Enjoy this fascinating full day sightseeing tour of Tiananmen Square, Forbidden City and Temple of Heaven. Includes: Transportation by private car/coach, visit to the Forbidden City and the Temple of Heaven with English speaking GUIDE. Lunch at a local restaurant. 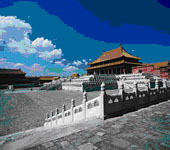 The Tour: The Forbidden City also known as the Imperial Palace Museum. Here you can see the great traditional palace architecture and enjoy the treasures kept in the palace. Designated by the State Council as being one of Chinas foremost protected monuments in 1961, the Palace Museum was also named as a UNESCO World Heritage site in 1987.The Tiananmen Square: The worlds largest city square and enduring symbol of Chinas national pride, surrounded by many imposing buildings including the Heavenly Gate (entry to the Forbidden City), Museums, government buildings and Chairman Maos Mausoleum. And the Temple of Heaven: one of the largest parks in Beijing. The most magnificent buildings are The Circular Mound Altar (Yuanqiutan), Imperial Vault of Heaven (Huangqiongyu) and Hall of Prayer for Good Harvest (Qiniandian). Almost all the buildings are connected by the Vermilion Steps Bridge (Danbiqiao) which is also known as the Sacred Way. This is a perfect example of Chinese traditional architecture due to its clever design and harmonious colours. Retenir les tickets en ligne, voyager par train en Chine, guide, vayages, hotels, fuites a la Chine.